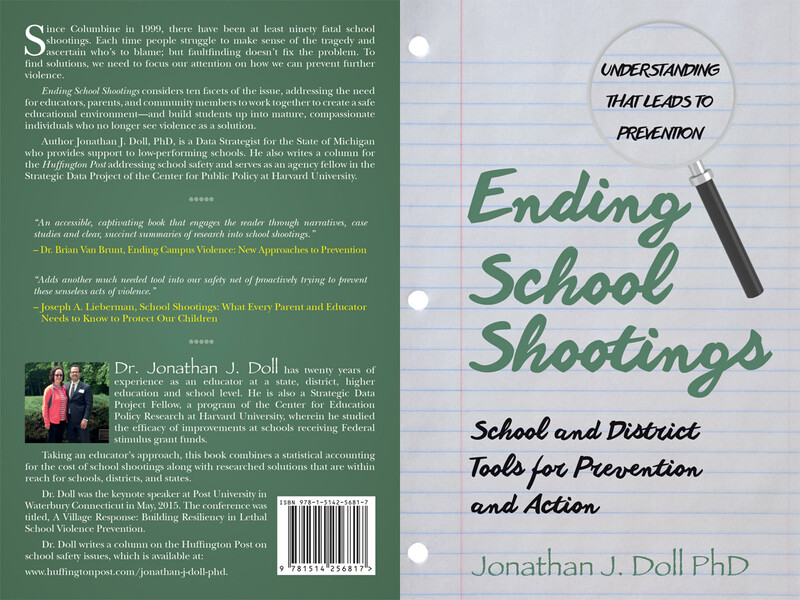 Jonathan authored the book, Ending School Shootings: School and District Tools for Prevention and Action. Laura guided the process, providing editing help along the way. Jonathan Doll, PhD is an educationalist, advocate, and dropout researcher from Hamburg New York. His work includes researching a World War II veteran and helping that man reunite with a family that he had lost contact with 59 years earlier during the time of the War. His bachelor’s degree was in Math Education, leading to his teaching career in math, journalism, and every other subject that his principals needed. His Master’s degree was in curriculum and instruction from the University of Alaska, where he studied the impact of affirming Alaska Native culture in the classroom. The research project titled Come on in: An epic story of an Inupiat couple in northwestern Alaska is on file in the Rare Books Collection at the University of Alaska in Fairbanks. Finally, his doctorate of philosophy was attained from Texas A&M University, where his dissertation was on Teachers’ and administrators’ perceptions of the antecedents of school dropout among English language learners at selected Texas schools. He has recently authored an article on understanding trend changes in school dropout over the last 45 years. He and his wife and cats live in Michigan. The book, Ending School Shootings was published in August 2015. It is a multi-year effort since a school shooting in Centennial, Colorado on December 13, 2013. If one tragedy can inspire a nation in advocacy, then we can move our nation to a place of decreasing, in fact ending school shootings in America. Michigan Alma G. Stallworth Scholarship Foundation Fund. As news breaks, this section will provide a timely analysis of issues in schools relating to lethal gun violence prevention and lethal non-gun violence prevention.